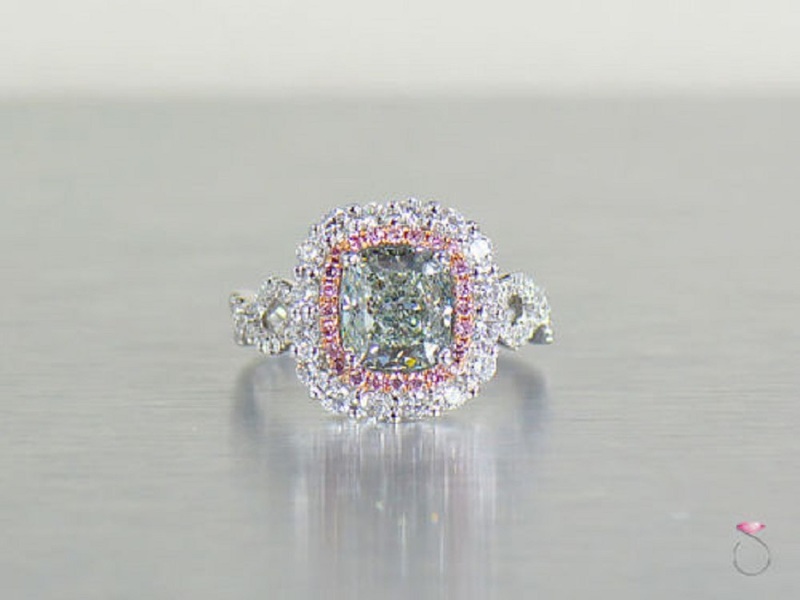 A stunning green Diamond ring with pink and white diamond double halo. This magnificent ring features a 2.71 carat cushion shape natural light green Diamond in the center surrounded by a natural pink diamond halo. and a white diamond double halo. The 2,71 ct. carat center diamond is GIA certified. The ring is made in 18k white gold and 18k rose gold on the halo that holds the pink diamonds. This is a gorgeous statement ring with very rare natural fancy color diamonds. 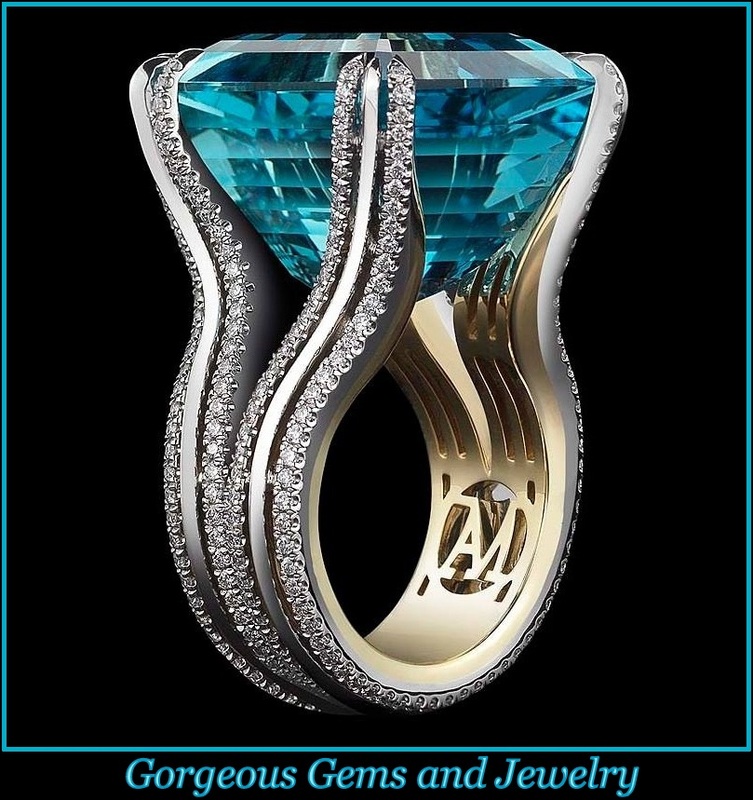 The ring has the total diamond carat weight of 3.57 ctw. The ring will be accompanied by the original GIA diamond report and packaged in Solitaire Jewelers ring box.